We have revised and re-issued the privacy awareness module with a particular focus on the General Data Protection Regulation this time around. GDPR is a major shake-up in European privacy laws with global implications. Does your organization know what’s coming? Do you understand the implications? Will you (your employees, IT systems, policies, procedures and websites) plus your suppliers and business partners, be ready by May 2018? Bringing workers up to speed on privacy through awareness and training is an essential part of business for all organizations. Persuading everyone to take care of the personal information they handle means more than just informing them about their compliance obligations: they need to be sufficiently motivated to change their ways. The break-glass poster is meant to catch the eye and make people think. 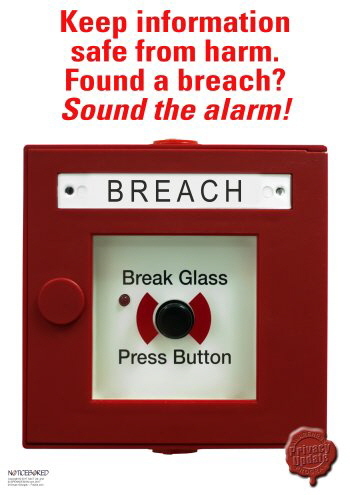 It's not literal, of course, but every organization should have a suitable process in place to handle reporting of privacy breaches plus other incidents and near-misses. Encouraging people to report issues is one of the objectives of the awareness materials. The 3-day breach reporting deadline under GDPR will be challenging even for organizations that have a strong approach to privacy. For those with low awareness, it may prove impossible. Taking that idea a step further, in addition to poster graphics, NoticeBored subscribers have the benefit of seminar slide-decks and briefings, FAQs, policy and procedure templates and the usual range of goodies designed to make it easy to raise awareness in this important area. It's basically a privacy and GDPR awareness kit. So what about you? What are you doing in the way of awareness on privacy, GDPR and compliance? If awareness is just another thing on your lengthy to-do list, get in touch, preferably well before May 25th 2018 - urgently if your organization is blissfully unaware of what's coming. 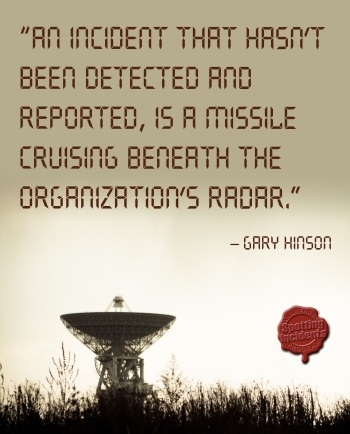 Management-level awareness is the key to making stuff happen. Let us help you with that.